Chris Venzon and his Mexican-born wife, Jackie, seem destined for a life bathed in light. They were already married by the time Chris founded his own lighting company, Venzon Manufacturing Corporation, in 2003. His three younger brothers helped run the Pampanga-based factory which, for the coming years, was kept busy serving the orders of a major US buyer. But Chris aspired for something bigger: Growing his own brand. A sampling from Venzon’s portfolio. Their catalogue reveals exactly that - classic pieces alongside adventurous models by Venzon’s in-house designers and guest creatives. 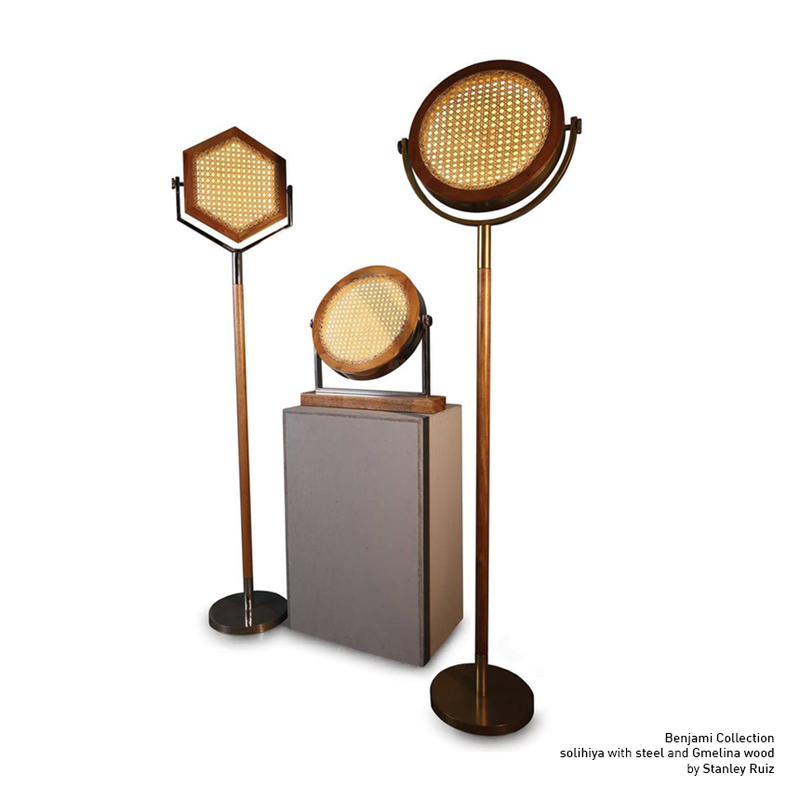 Among them, Stanley Ruiz’s Benjamin lamps which remind you of antique searchlights, its form abstracted and revamped with solihiya weaving. The Cherry Blossoms collection is a surprising combination of steel and delicate capiz, while the Bette Davis lamp is just like its namesake, smug and glamorous in its own strange way. Stanley Ruiz’s Benjamin series, made from Gmelina wood, steel and solihiya weaving. Visitors to Manila FAME’s 68 th edition were able to preview Venzon’s new designs. 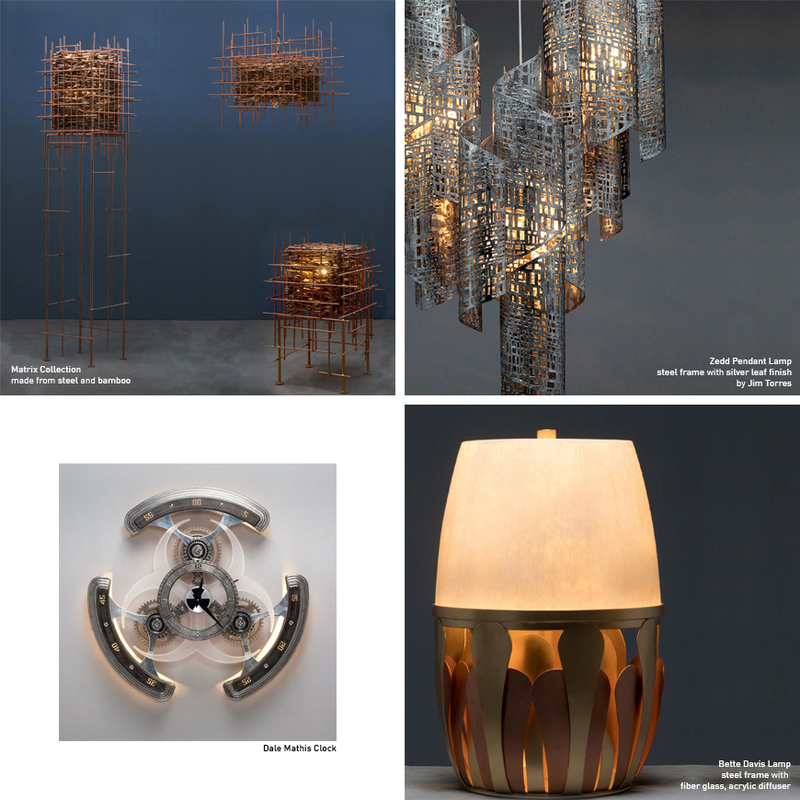 It included a variation of the popular Cherry Blossoms lamp, the new Picasso and Hexa collections, as well as the striking Nautilus clock designed by Callen dela Cruz for Dale Mathis. 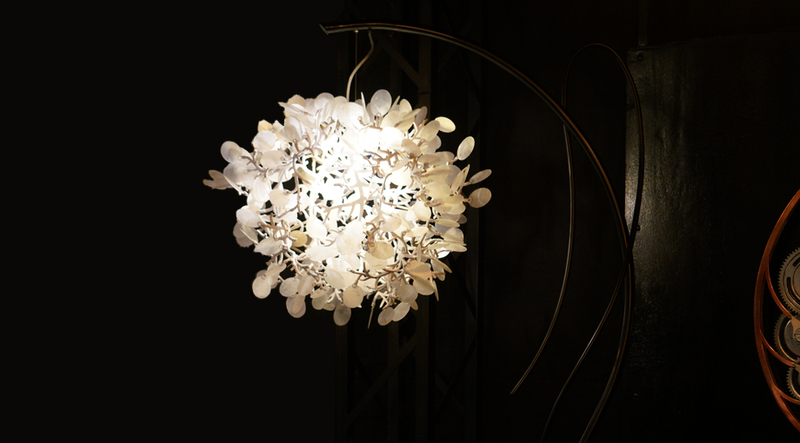 The Cherry Blossoms floor lamp made from steel and capiz . Top photo: The Picasso pendant lights debuted at Manila FAME.